Accessory pouch pictured above on the mantle is the small sized bag, with a white zipper. This is the Among the Eucalyptus Accessory Pouch. It is a carry-all pouch with a T-bottom, perfect for helping you keep your haven organized. 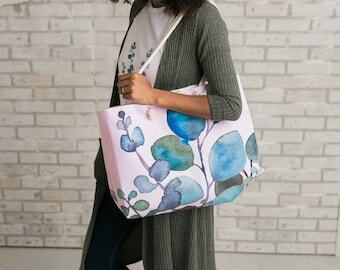 This bag is printed with lovely eucalyptus sprays in cool greens, grays, and purples and would make an excellent pencil case or cosmetic travel bag. These pouches are constructed with a durable, 100% polyester material and have a zipper closure in two colors: white or black. -To clean your bag, I recommend turning it inside out and washing it on cold with like colors. Lay flat to dry. 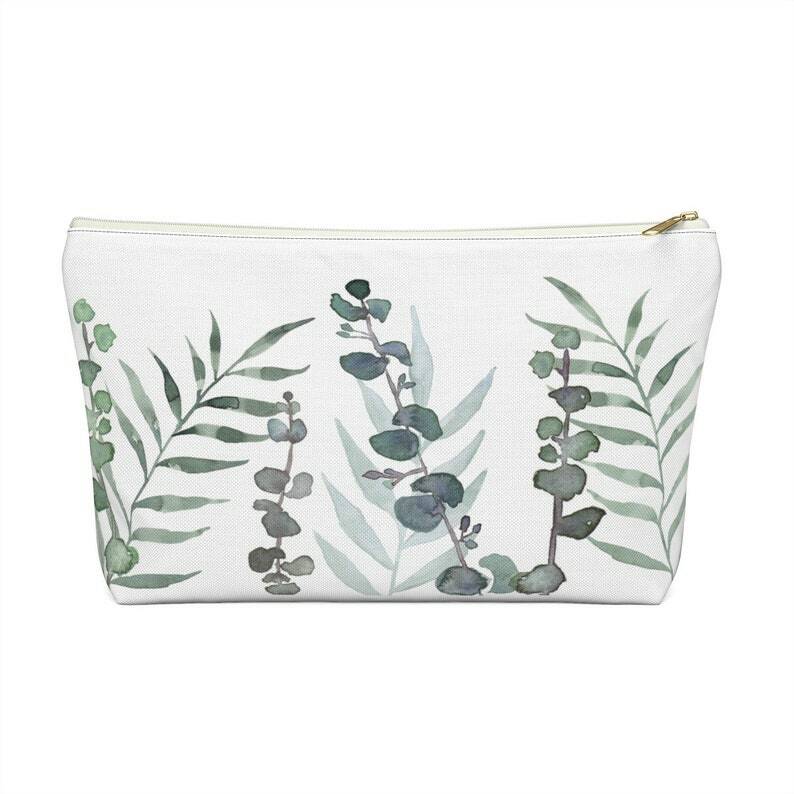 -This pouch has a unique, hand painted watercolor design, designed by me, Jillian Anderson. While I designed and painted the eucalyptus, it is printed with ink using a sublimation printer by my production partner through Printify. They will print your pouch and send it right to your door! -You will receive one accessory pouch in the color and size of your choosing, don't forget to choose your size before checkout.